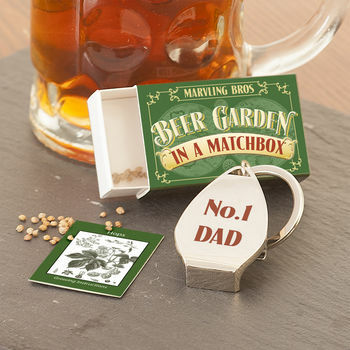 Say cheers to dad with this perfect beer themed gift containing hop seeds and a handy bottle opener key ring. Now dad can grow his very own beer garden with this stunning matchbox containing a packet of hop seeds and growing instructions. 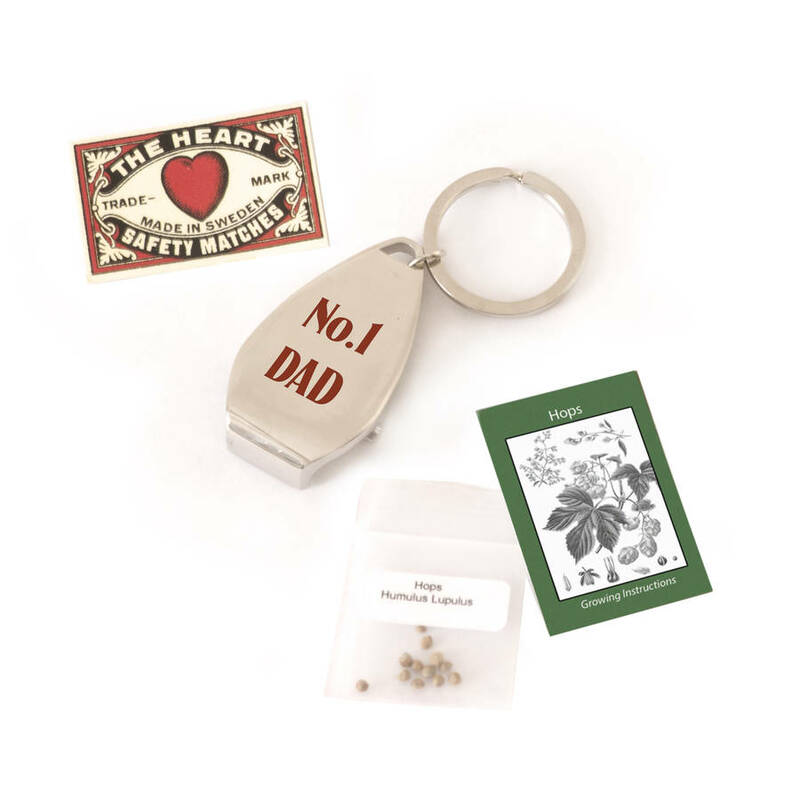 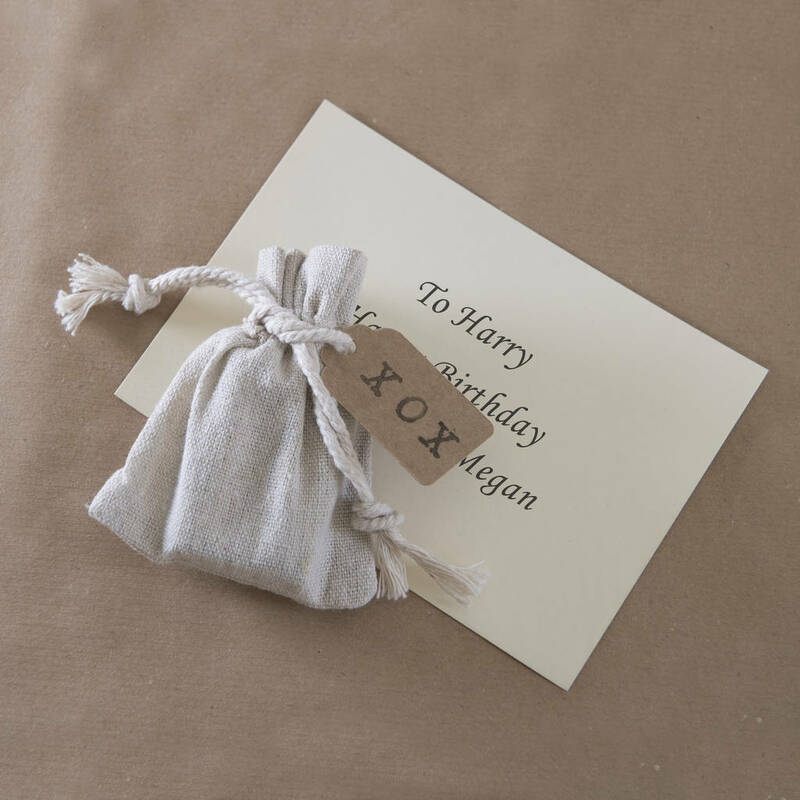 The box also contains an elegant chrome finish bottle opener key ring with the message 'No. 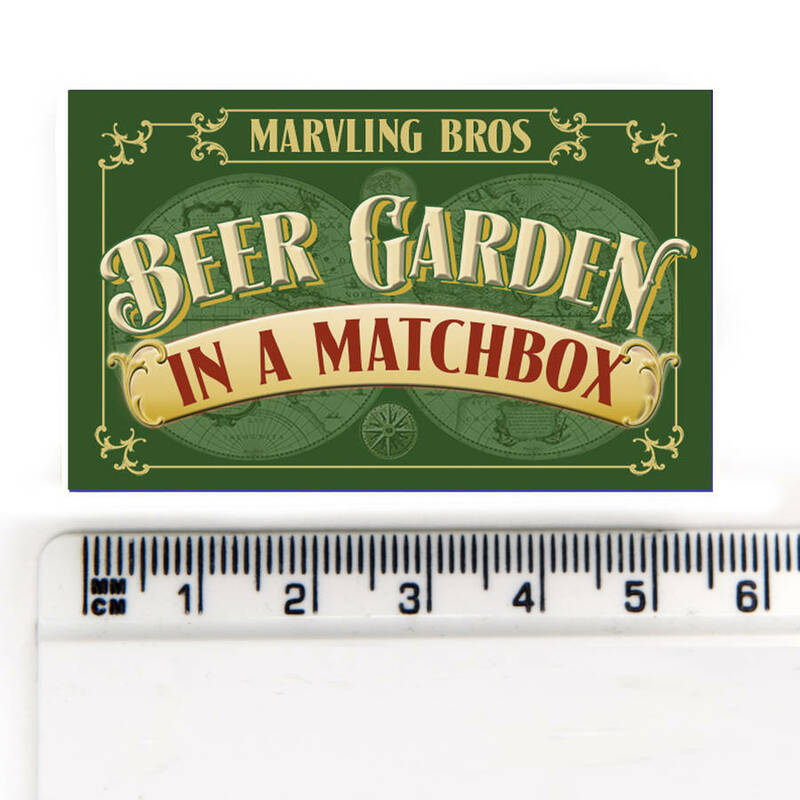 1 Dad' and a limited edition collectors card based on a vintage matchbox label design. 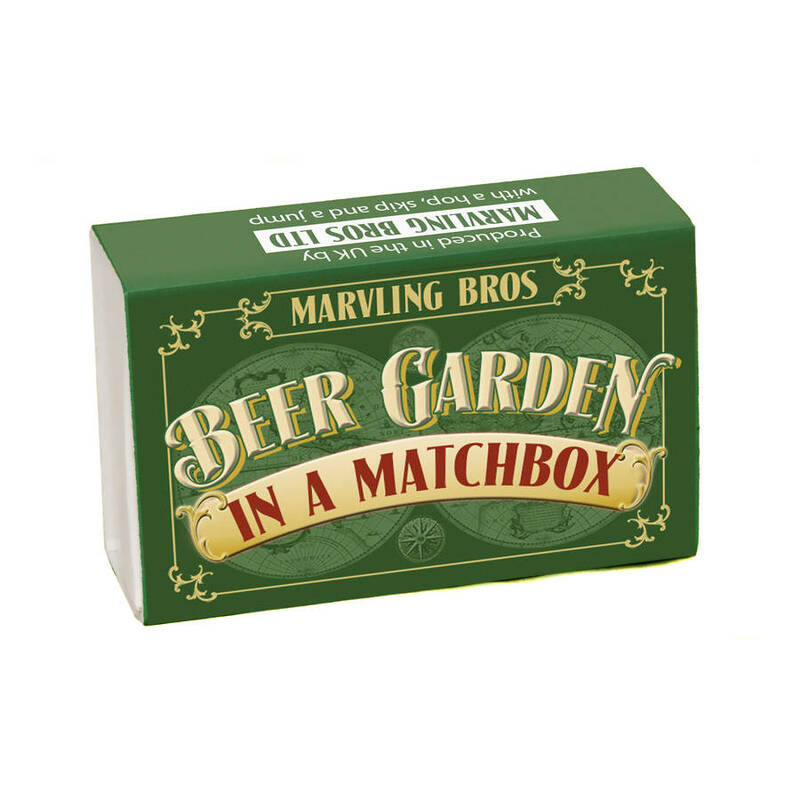 What could be more perfect than relaxing with a cool bottle of ale whilst watching your own beer garden growing. 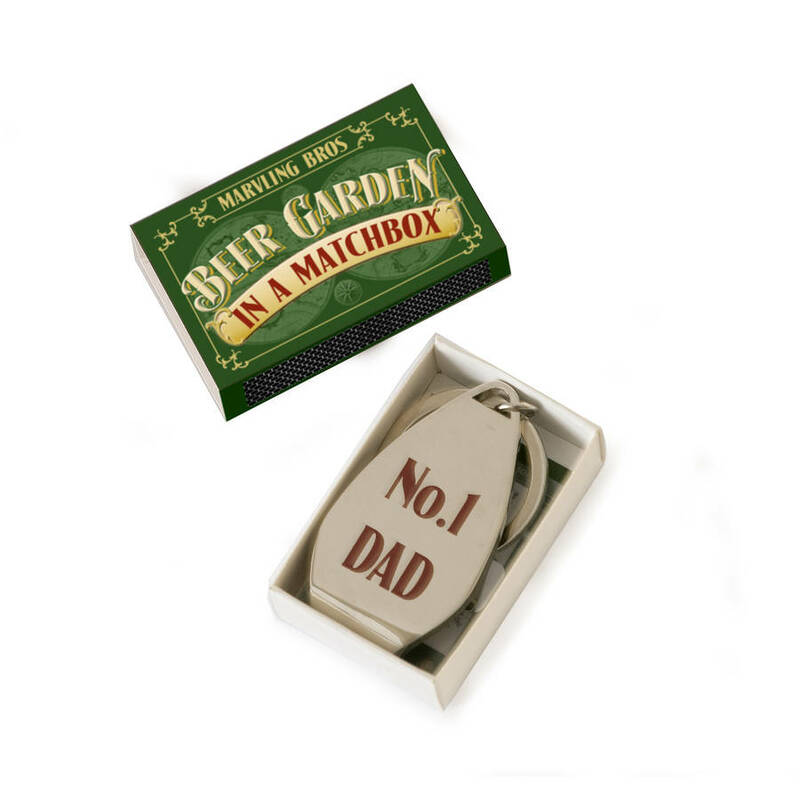 This product is also available with a plain key ring from the Marvling Bros complete range. 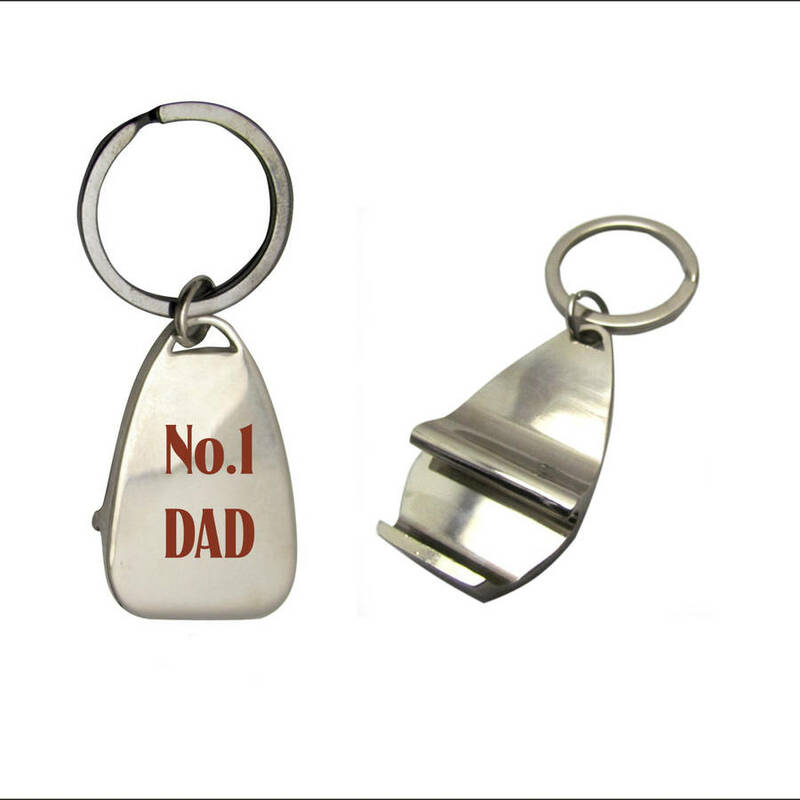 Key ring is metal alloy with a high gloss chrome finish.